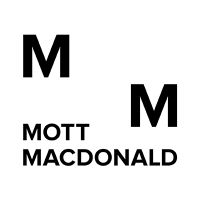 Mott MacDonald is an employee-owned management, development and engineering consultancy serving the public and private sector around the world, with more than 16,000 staff worldwide. Our International Development Services Unit, IDS, operates portfolios within the international development sectors of Environment, Climate, Water, Roads, Rural & Urban Development, Education, Health, Social and Economic Development in over 40 countries. Together we implement and manage projects in developing countries and emerging economies around the world, supporting national governments and municipalities in policy, planning, project design and delivery. We are committed to support the United Nations Sustainable Development Goals and to provide our expertise to improve the lives of people in need. We are seeking two District-level Enterprise Development Officers (EDO) for long term roles for private sector development related to construction on a complex DFID-funded post-earthquake reconstruction programme covering four Districts (Gorkha, Dhading, Nuwakot, Rasuwa). The programme aim is long-term positive change in the lives of people in earthquake-affected regions of Nepal. One position will be based in Dhading and one in Nuwakot. Support and provide capacity building to Government at central, district and local level in detailed year-wise reconstruction planning. Direct physical reconstruction, including subcontracting and supervision of agreed priority earthquake reconstruction interventions, including reconstruction of water supply, foot trails, bridges, schools, public buildings, and potentially other areas. Analysis of, and interventions to address, constraints to the private sector, including supply of labour, materials and transport in the construction sector. Managing a Challenge Fund to leave no-one behind in the reconstruction effort and promote transformational change for women and girls. An evaluation and learning component. The Enterprise Development Officers will be responsible for identifying the key constraints for the MSMEs in the construction sector and helping design and delivery of interventions to facilitate alleviation of these constraints. S/he will ensure the delivery of the project activities at a district level in a timely manner to the desired quality, and mobilise and capacitate partner organisations. The input is initially for 12 months but may be extended for up to the project duration. We’re a global engineering, management, and development consulting firm focused on guiding our clients through many of the planet’s most intricate challenges.